One day in 2012, I was threatened with a beating and possibly an arrest after I approached the chairman of a local government council in Rivers State at a Port Harcourt restaurant. As Social Action had visited his office a number of times and wrote officially requesting a copy of annual budget of the local government, I thought I was lucky to see him. So I approached him. Everything quickly went south thereafter. He took out his belt from his trousers in readiness to hand me that beating he was so certain I deserved. He called in his police security who had remained in the car parked outside, just in case it became necessary to arrest me. That was not the first time my colleagues or I had received such mind blowing response from a public official when we requested budget documents. In 2011, an official of the ‘Due Process Office’ in Bayelsa State sternly demanded to know what Social Action wanted to do with the state budget. We responded by reminding him that the state budget is public information and we did not need to have a reason for wanting it. He disagreed and went ahead to provide a lecture on why the budget was a private government document. These were not isolated incidents manifestations of secrecy policies adopted and actively promoted by state governments from the era of military rule. 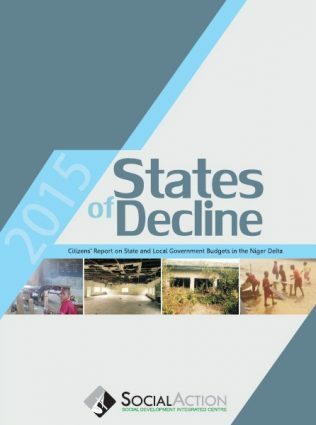 As at early 2016, only one state in the Niger Delta had its annual budget in the public space. Currently, no local government area in the region has a publicly accessible budget. The cost of this culture of secrecy on fiscal responsibility has been high. 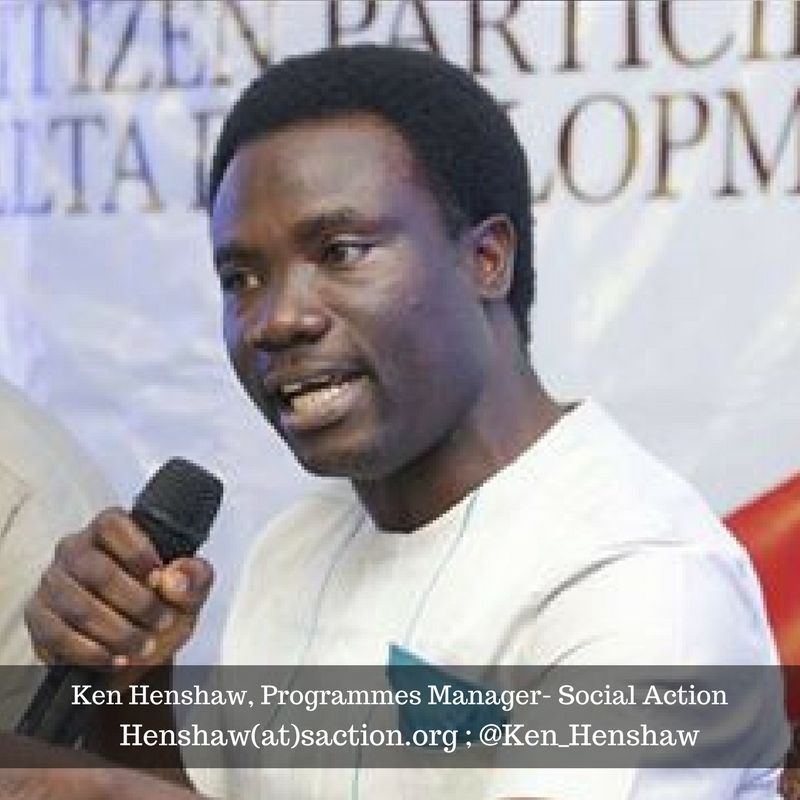 From 2009, Social Action started supporting the establishment of Community Advocacy Centres to synergize with communities and provide necessary support for them as they respond to peculiar development challenges. From 2012, the centres have been serving as local hubs for transparency and accountability advocacy, as well as a platform for citizens to engage political office holders at the sub-national level. The centres host Community Budget Advocate Committees, made up of community volunteers with a passion for promoting accountability and community benefits from public resources. 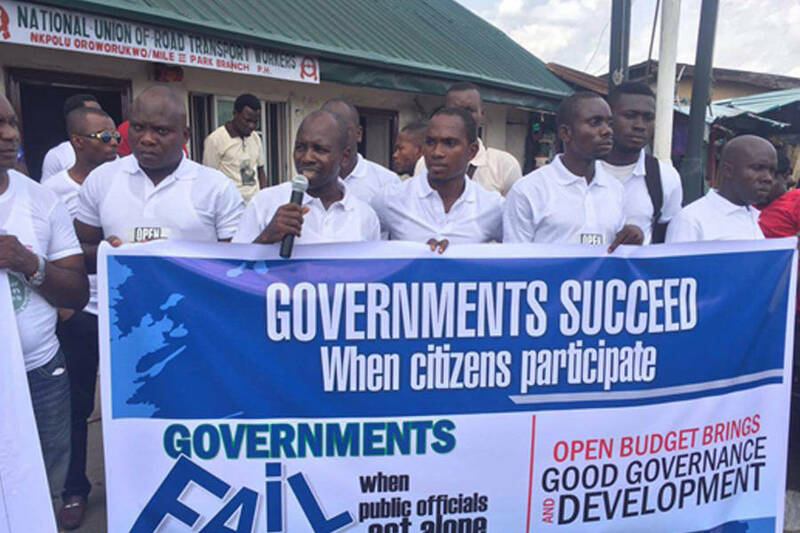 It all began in Brass Local Government Area of Bayelsa State where 25 community activists from women groups, youth groups and faith-based groups volunteered to become budget advocates. 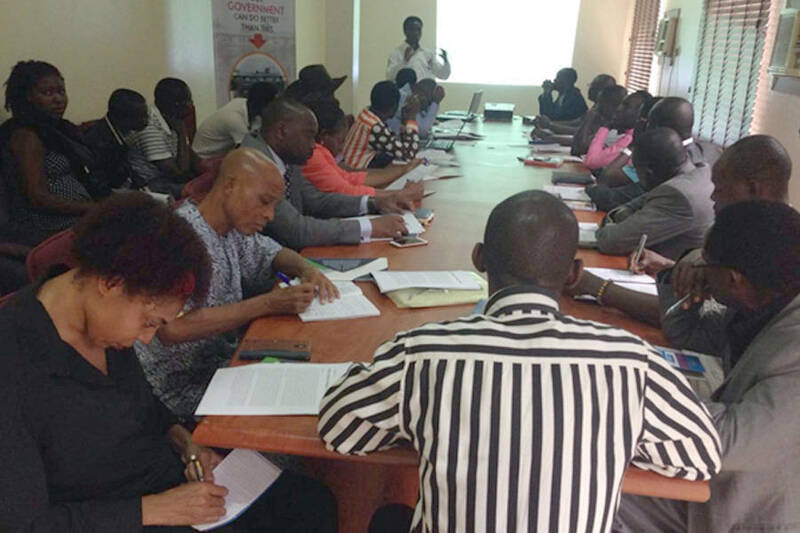 With targeted training in budget analysis, monitoring of public expenditure and report writing, the budget activists embarked on field monitoring of the implementation of the 2012 budget of the local government. Their analysis of the budgets revealed a consistent pattern where recurrent expenditures get the overwhelming share of resources as if the local government exists only to pay salaries. Monitoring of the few capital items mentioned in the budget also revealed project duplications and irregularities such as contract inflation and overpricing, despite abysmally low implementations as most of the projects earmarked in the budget were never executed. With these findings, the budget activists were supported by community elders and other groups to organise what was called ‘the peoples’ parliament’ at the community town hall in Twon-Brass. Also in attendance were 14 aspirants into various political offices on the platform of 4 political parties. Aspirants responded to analyses and monitoring presentations made by the activists and answered questions from the audience of community members. They all committed themselves to minimum standards of fiscal discipline and citizens’ participation in fiscal governance. This was the first time a session such as this had taken place in the history of the state. 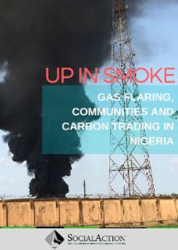 Subsequently, similar exercises were organised in other parts of the Niger Delta. We see that when citizens are given the skills and opportunities to act in their local domains and capacities, it will become more socially and politically expensive for government officials to operate with fiat. In the short term, increased citizen’ awareness will excite interest in what projects get attention in the budget. However, efforts to get citizens to participate in budget advocacy are hampered by the unavailability of the budgets, often kept away from the beneficiaries. Since 2009 Social Action has organized state level town hall meetings to push for open budgets with particular focus on the states of the Niger Delta. These fora complement annual budget analyses and monitoring exercises. However, while administrations of some of the states had responded in the past and made their budgets publicly available via official websites, with general elections and the emergence of new governments, we find that we need to advocate all over again. In 2016 Social Action launched its Open Budget Campaign with the immediate target of getting state governments in the region to make budget documents proactively available on their official websites. 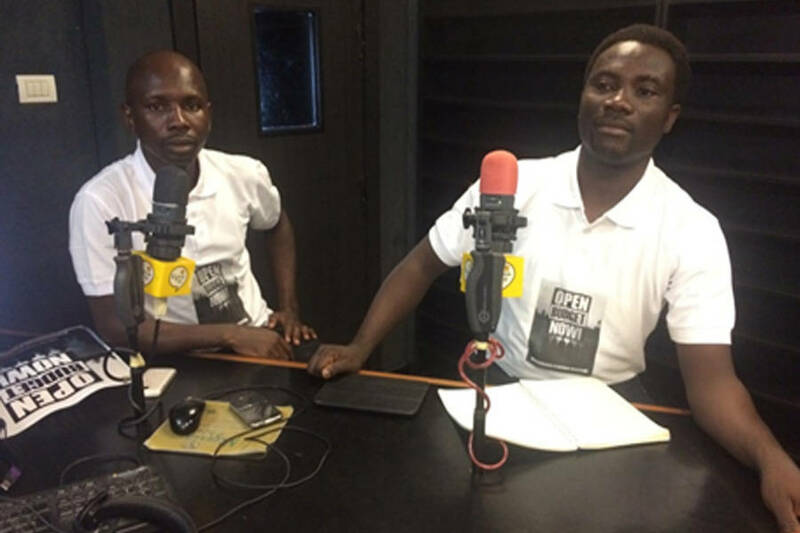 Radio stations offered their platform for free to discuss open budgets. Social Action also took the campaign online, using Facebook and Twitter to mobilise and create awareness. In one day of Campaigning on Twitter, we get 4.5 million impressions. To reach other constituencies, we joined forces with the National Union of Road Transport Workers to organise ‘Open Budget’ rallies in motor parks where we campaigned and distributed fliers. In all our public activities, citizens are given the opportunity to join the movement by sending an SMS saying ‘Yes’ to a certain mobile number. To begin engagements with state actors, we dispatched 25 Freedom of Information requests to a selection of government agencies, asking for budgets as well as other documents. Only one response was received informing us their office did not have the budget! This was real evidence that states continued to be secretive. We cashed in once again on our alliance with the media and pushed harder. Budget activists took up the battle, sending text messages, writing Facebook posts and making phone calls into live radio programmes with calls to state governments to make the budget public. In one state, the commissioner in charge of budget responded on the radio that the campaign was mistaken. He said the budget was available to the public – in his office! Absurd as that was, it was a good enough place to begin. Social Action organised a delegation to visit the commissioner and either get a copy of the budget or duplicate it. The plan was to start a conversation on how to entrench the disclosure of fiscal information in the state. The meeting never happened. After waiting 3 hours at his office, we had to leave with our photocopier and papers – yes, we went prepared! Social Action intensified our engagement with state actors through courtesy visits. In all, 27 visits to government officials with the responsibility of making budgets publicly available were carried out in 2016. In some cases, we were welcomed. At other places, the reception was more tepid. However, we trudged on. Every time our message was the same, “Public Documents Should Be in Public Spaces”. In each of the states, Social Action organised ‘Open Budget Clusters’, a close group of civil society activists and media practitioners pursuing the same agenda. We supported the clusters to organise consultative meetings in the states and invited specific government officials. In all the meetings, our focus was to extract a minimum commitment of making the budget available online. Some of the meetings produced the desired results. The first sign of success came in mid-August in 2016. I received a phone call one morning from the Ministry of Information in Delta State informing that the 2016 budget of the state was now on the website. This was the first time the state had ever had its budget online. A week later, the Akwa Ibom State 2016 budget was also published online, again, for the first time. At the last count, four out of the five states the campaign targeted have made their 2016 budgets publicly available. As everybody involved in advocacy knows, the success of one campaign is the start of another. For the team of Social Action’s open budget activists, the next step is to encourage citizens to interact with the budget, identify what is in it for them, monitor how those projects are implemented, provide feedback to the government and give insight into what development projects are needed. When this cycle is so complete that it runs freely and continuously on its own, development will no longer be the handout of state officials, but the product of collaboration with all stakeholders. Only then will our ‘Open Budget Campaign’ be complete.